How can businesses take full advantage of social media to better interact with their customers? Many of us might still remember the Orkut days, which triggered a new trend to stay connected with friends and family members. A network of computers, power of the internet and world-wide-web (www) intrigued the people across the world. Social media was in its making and people were curious to unveil a new world of advanced technologies. In those days around 2006, one would have hardly imagined that within few years social media platforms will drive people, businesses, and economies. According to a special report, “Digital in 2017: Global Overview” approximately 37 % of the total world’s population is active social media users. And approximately 2.56 billion people in the world access various social media networks through mobile phones. Since 1997, when social networking majorly started with ‘Six Degrees’ and to this date, when it has become an integral part of people’s life, Social Media has evolved unprecedentedly and at a breakneck speed. Memories of good-old days of writing letters, sending telegrams, waiting to make a long distance call and many other traditional ways to connect, have gradually receded with the Internet and World-Wide-Web (www) pervading the world. The process to connect to friends and family underwent a rapid revolution with the development of electronic devices such as smartphone and tablets. And websites these days are being made ‘responsive’ which gives instant access to various web pages through the Internet. And, this has made social media websites an important platform for all size business worldwide. They can now gain a wider market share and can instantly connect to global customers. 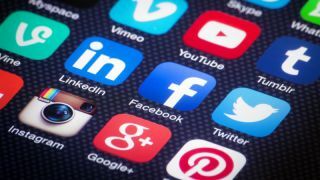 Unlike in the old-days, Social Media networks are no more limited to posting photographs and sharing comments or performing other such activities. Now with approximately 2.80 billion global social media users, social networking websites are not meant only for having fun with friends and family. With customers getting tech-savvy and the business landscape changing perpetually, various social media websites such as Facebook, Twitter, LinkedIn and many more have become a fabled platform for companies to perform sales and marketing operations. In an age of Artificial Intelligence (AI) and advanced automation, businesses are adopting to continuously transforming technologies. On other hand, social media platforms have significantly impacted customers behavior. It is high time businesses should first understand continuously changing customer behavior and then make strategies accordingly. It is a data-driven world and social media networks are playing a key role in keeping customers informed about new trends, products, and services. Increasing customer awareness and new forms of competition put innumerable challenges to businesses. Customers demand visibility within business activities and availability across various media platforms. And, this significantly impacts customers buying decision. According to a research report published by MarketingSherpa, approximately 95 % of the people in the age group of 18 to 34 years of age follow their favorite brands on social media networks, especially Facebook. Platforms such as Twitter are much used by customers to post queries about various products and services. And, brands actually answer customer queries through various social media networks. Social media platforms today play an imperative role in building a healthy and long-term relationship with customers. It is an age where people do not wait for morning newspaper to get information and news. The Internet has brought a revolution. Businesses use multi-media platforms such as print, photography, video, and audio to post messages and schedule campaigns on social media network - the favorite child of the great world-wide-web (www). Evolving technologies have largely transformed the way businesses function. Automation solutions are being implemented to make processes efficient and error-free. There are advanced automation solutions these days, which automates entire business processes including marketing. Keeping continuously changing customers behavior in mind, business automates the marketing process, which makes automated posts on social media and thus maintains uniformity in information sharing. Advanced automation solutions leave no room for gaps and miscommunications. Campaigns, promotions, offers and many other activities can be successfully run on social media websites. In a very short span of time, various social media platforms enable businesses in communicating with a large number of customers and that too globally. This helps in driving enhanced demand and thus social media play an imperative role in generating healthy revenue for companies. Social media ensures availability of businesses to customers, round the clock. With platforms such as Facebook, Instagram, Twitter, LinkedIn and many more, things do not remain within the periphery of maximising profit and delivering products and services. Rather, it is more about building a personalized business-customer relationship. And thus, social media proves to be playing an essential role in increasing customer loyalty and enhancing the retention rate. Believe it or not, social media is the new lifeline of businesses in the contemporary business environment. The report “Digital in 2017: Global Overview” also informs that approximately 1 million mobile social media users are getting added every day. Such is the strong impact of social media. Just imagine, how strong social media has become. With such a large customer base, comprising customers from every corner of the world, social media gives business direct access to so many of them. And, businesses are embracing disruptive technologies such as advanced automation to deliver quality goods and services, satisfaction and overall true value. When technologies such as automation were in its evolving stage, it was not much beneficial for small businesses. But, with technologies being innovated at a super fast speed, Social media has led to the growth of innumerable small businesses of diverse nature. According to Facebook, more than 50 million small businesses have created Facebook pages to connect with their customers. As a result, employment opportunities have grown manifold, which in turn helps economies in performing with enhanced stability. Therefore, it won’t be wrong to say that along with technology transformations, social media networks enable businesses in generating a sound return-on-investment (ROI) and a sustained growth in the long-term.